#GC2018swimming | Who will go to the Gold Coast? Commonwealth Games: Who will go to the Gold Coast? The South African swimming fraternity is currently overjoyed with the performances of the participants at the 2017 KZN Aquatics Premier Championships and 2018 Commonwealth Games Trials currently underway at the Kings Park Aquatic in Durban. 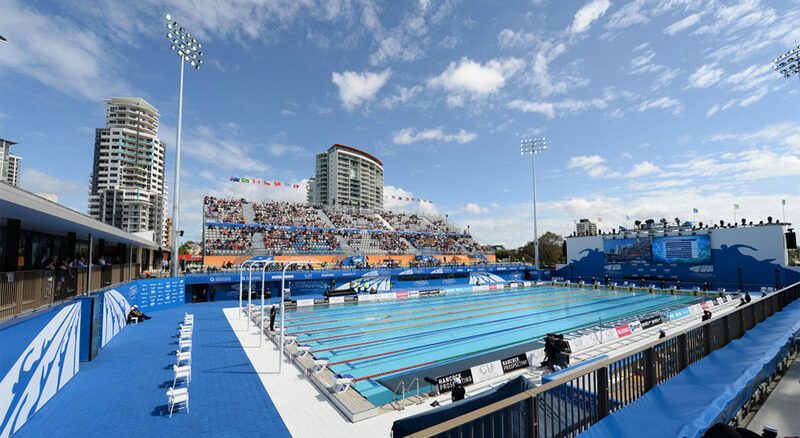 As many as 35 qualifying times by 28 swimmers had been achieved by the completion of the heats on Wednesday morning at the iconic venue that has been the center of numerous exceptional performances over the years. While the state of euphoria exists at the competition for those who have achieved the published Swimming South Africa qualifying times, the final team selection will be in the hands of the South African Sports Confederation and Olympic Committee (SASCOC). Herein lies the challenge as the South African allocation for athlete participation at the 2018 Commonwealth Games scheduled to be hosted on the Australian Gold Coast from 4-15 April 2018 is in the region of 100 participants according to sources. Obviously preference will be given to athletes who are in contention for podium places. When team sports are taken into account, a country can have as many as 300 competitors at the Games. The disparity is huge. Athletics South Africa (ASA) announced a 63 person training squad in September with the view to Gold Coast selection. On 14 December 2017 ASA published a list of 23 athletes for submission to SASCOC for consideration with their final submission due in January 2018. Given that the athletics profile has increased significantly in the recent past with some exceptional performances at the highest level it would be naive for the South African swimming fraternity to expect that all those athletes who have posted CWG “qualifying times” will be on the flight heading out to Australia in late March 2018. It is a well known fact that SASCOC have indicated that achieving a qualifying time at the 2017 KZN Aquatics Premier Championships and 2018 Commonwealth Games Trials is just the first step in the process. First consideration will be given to those athletes who are ranked in the top 10 in their event within the Commonwealth with the rest of the team make up being at the discretion of SASCOC. Factors that will also come into play are the composition of any relay squads that may be selected. What however is encouraging is the fact that the rest of the current crop of qualifiers are all in the Top 20 within the Commonwealth at this time, so all is not doom and gloom on the horizon. There’s no guarantee of being selected because the ultimately the final team selection is decided by the South African Sports Confederation and Olympic Committee (SASCOC and not Swimming South Africa. The entire South African swimming fraternity will wait with baited breath for the final team announcement in the New Year. Download the table of Commonwealth Qualifiers with Name, Event, Time, World Ranking, Commonwealth Ranking.